Our snowmaking team of 48 members has worked tirelessly over the past two months to offer the most beautiful ski terrain, despite a season marked by very mild temperatures early on. After 59 days, an exciting adventure now comes to an end as we reach our goal of nearly 96 open trails. Much to the delight of our skiers and snowboarders! Offer the most trails and open all the lifts in time for the Holidays. This year, snowmaking opportunities were very rare early in the ski season, which led us to a more intense snow production in January. The thickness of the base layer in the trails is the main factor that determines the end of our snowmaking period. The volume of snow produced is quite similar from one year to the next, although it may increase slightly to compensate for mild or rainy season beginnings. Trails that are dedicated to spring skiing receive additional snow coverage to ensure they last us until the end of the season. 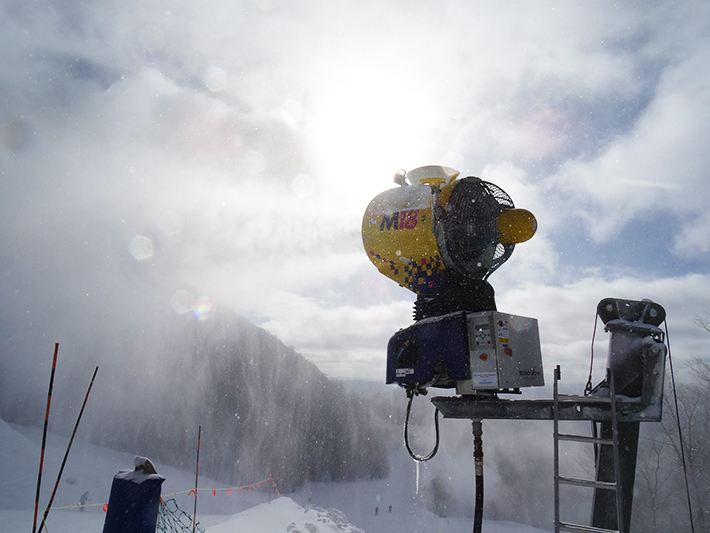 When the decision to add an additional layer of snow is taken, our team tries to make the snow without inconveniencing skiers. We will therefore choose to close the trail during the day or make snow during evening. The snow produced is then moved using snowcats and the trail is reopened as soon as possible. Depending on weather conditions, humidity and wind, it’s possible that the snow production can be greater than originally planned, which explains the longer delays and progressive openings of some trails. 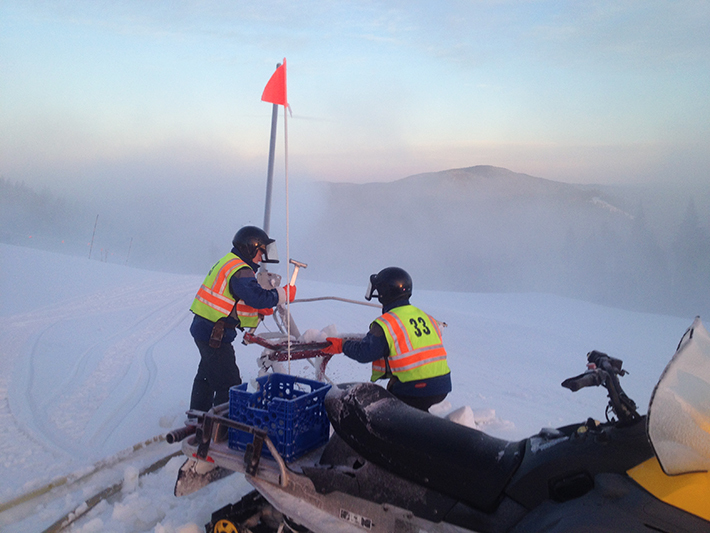 Covering an entire ski resort in snow is a job that requires weather analysis, lots of planning, teams in position round the clock, perseverance and years of experience. Every member of our snowmaking team agree: the mountain is beautiful, the results are evident, and they cannot wait to repeat the experience next year.